The Galahad clinical trial will assess the effectiveness and safety of an investigational medication in men with metastatic prostate cancer with certain genetic alterations (also called mutations or biomarkers) to their tumor. This is an open‐label study meaning the patient and researcher will know the investigational medication being studied. All patients will receive the investigational medication. 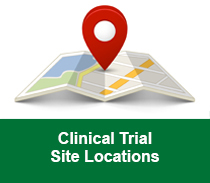 This trial is looking for patients whose tumor progressed after prior treatment with chemotherapy (for example, Taxotere® ) and androgen receptor treatments for prostate cancer (for example, Xtandi® , Zytiga®). There are 4 phases of the trial: 1) A prescreening phase to check for genetic alterations (mutations) in the tumor (called biomarker testing); 2) If certain genetic mutations are found, the patient will proceed to the next screening phase to see he meets other requirements for study participation; 3) If the patient meets the study criteria, then he will begin receiving investigational medication, called the investigational medication phase; 4) Once the investigational medication phase is complete, there will be a follow‐up every 3 months. 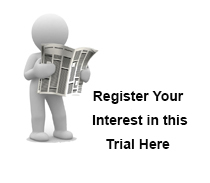 Galahad is a phase 2 clinical trial that will enroll approximately 215 participants. The trial began in 2016 and the primary completion date is in 2019. Possible patient benefits: Eligible participants may receive all study‐required care at no charge. This includes investigational medication, study evaluations and procedures. Possible patient risks: There are known and possibly unknown side effects from the investigational medication. Use the "clinical trials glossary" or "dictionary" for words, phrases and treatments that you may not understand.